World has seen the growth of thousands of new gadget every year & we have not reminded most of the gadget that died because of the older technology or better alternatives. But there were a technology that played longest role with human being as the tying device for official documentation – Typerwriter. As a gadget blog, I found this very essential to mention the end of golder era that is ended April 27th April 2011. After introduction of computers typewriter phased out in next 10 years from most of developed countries but countries like India & Dubai was still major users of typewriter. The only company that was producing 12,000 units every year till 2009 found the decline in demand significantly from last two years. This company is a part of huge company Godrej, who was producing these units under name Godrej and Boyce. Dubai was major client country where these typewriters were imported form India & they discontinued importing & soon enough Godrej & Boyce stopped the production before a week. My office is very near to the court in City, so mos of the typing works goes on around me. I see hundreds of people working each day as their primary income on typewriters. And I think they can hardly go on with existing typewriters for more 5 to 10 years. 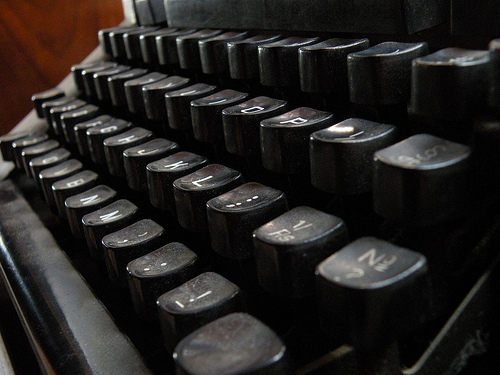 From every 100 consumers that get typed form typewriter are around 45 & rest 65 goes for computer typing. And soon the figures will definitely shift towards computer side.There are almost hundred thousands institutes that teaches typing to so many students around India for a very nominal fees of 100 Rs./month. This business will soon have to be shifted to computers for this reason. I would like to give this old gadget 10/10 for being the foundation of so many innovation including QWERT keyboard on mobiles, PC & Word processors. Without any kind of user interface & electric connection this device has managed to witness billions of official documents around the world. When I was a kid I used to go in my dad’s office play with typewriter, I have also took my first lessons on the same typewriter. 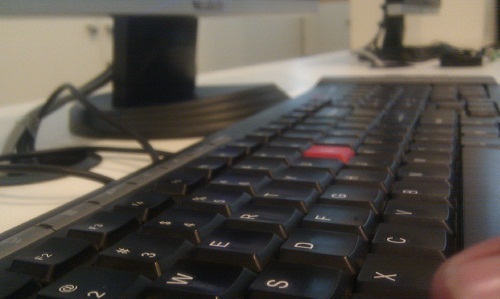 And Sadly I am writing this blog post from same office on my very high performance computer & with the help of keyboard. But my dad have kept old typewriter from his office & at least I can show it to my kids as my first gadget as a legend of its era. Cloud Storage Unlimited – Is It Possible?